The Brooklands Concorde Project: Follow progress of the Concorde G-BBDG - aka Delta Golf - restoration project at Brooklands Museum. After British Airways retired their Concorde fleet on October 24th 2003, Brooklands Museum in Weybridge, Surrey, made an unsuccessful bid to acquire one of the seven retired BA Concordes. More than 30% of each of the 20 Concorde airframes were manufactured by the British Aircraft Corporation at Brooklands during the 60s and 70s and the site's unique historical association with the type was the prime reason for the museum's ambition to acquire an example for its aviation collection. 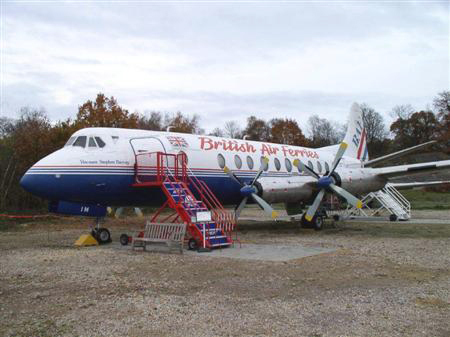 Soon after their failed bid, however, it was announced that they were in negotiations with BA to have Concorde G-BBDG (c/n 202) loaned to the museum instead. Although a production aircraft, G-BBDG, or 'Delta Golf' as the aircraft is more affectionately known, never saw airline service but, along with Concorde F-WTSB (c/n 201), she did the bulk of the flying that allowed the final certification of Concorde for airline service as well as being used to train the early British Airways flight crews. Having accumulated 1282 flying hours (of which 514 were supersonic), DG last flew on Christmas Eve 1981. 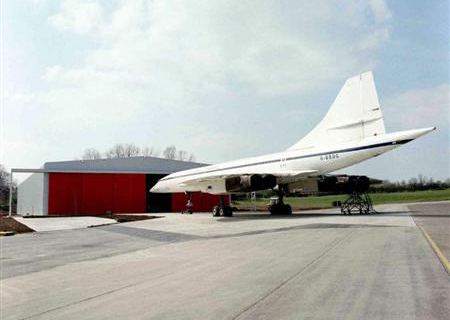 She then went into storage at Filton airfield near Bristol and was subsequently acquired by British Airways in 1984 and used as a source of spares to keep their Concorde fleet serviceable. To protect DG from the elements British Airways constructed a purpose-built hangar to house her at Filton. The building was designed to enable the aircraft to be stored minus the tail fin, which effectively halved the cost of the structure. The hangar became known as the '202' hangar and was completed in early 1988. DG was moved inside in May of that year. In late October 2003, British Airways formally offered Concorde G-BBDG to Brooklands for restoration and display. In early 2004, work began to remove all the parts from Delta Golf that could simply be unbolted. This included the outer and forward wing sections, the tail cone and the engine intakes. Then in April 2004, DG was towed out of her hangar at Filton to enable her to be cut up into 5 main sections for the journey to Brooklands. 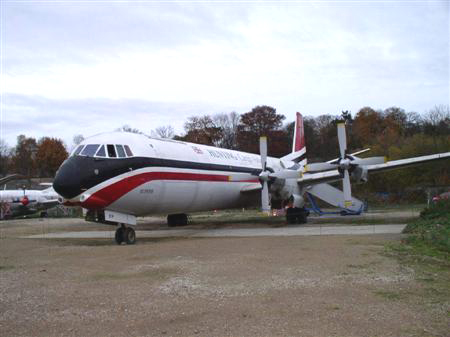 By early June 2004, after much organisation and planning, all the disassembled sections of DG's airframe had been safely transported the 125 miles by road to the museum. This was followed by more than 40 truck loads of crates and boxes from both Filton and Heathrow containing Concorde parts and spares. 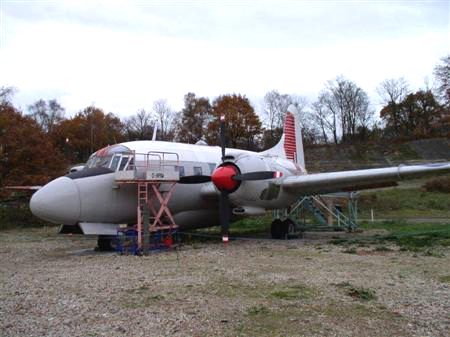 The restoration of DG is a "Million Pound Project" that will ensure her long-term future and will eventually see her on display inside a state-of-the-art building along with other existing museum aircraft such as the VC10, Vanguard, Viscount and Varsity - all of which were also designed and built at the Weybridge site. Opened to the public in July 2006 by HRH Prince Michael of Kent, Delta Golf is the only Concorde in the South of England that is open to visitors. 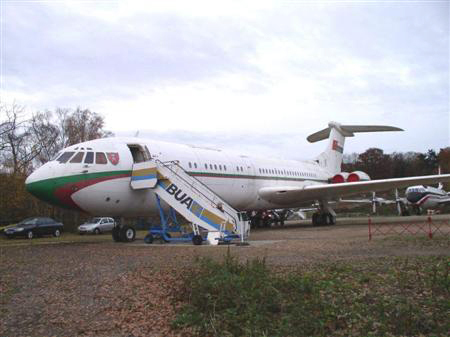 It is now more than 10 years since Concorde Delta Golf arrived in pieces at Brooklands and it remains a hugely popular attraction. The Brooklands Concorde Experience offers a unique opportunity to visit this fantastic aircraft at the place where the first UK meeting between Great Britain and France to discuss Concorde took place and where more than 30% of every Concorde airframe, British and French, was manufactured. If you would like to visit Delta Golf at Brooklands, click here for details. 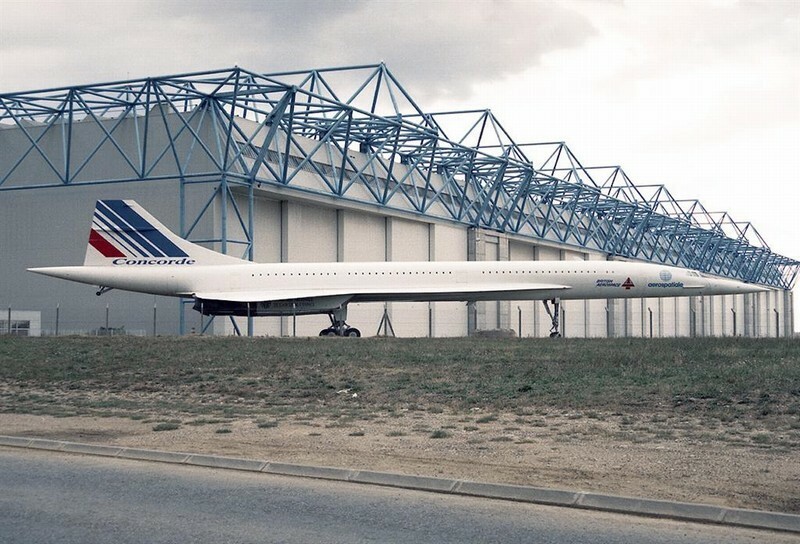 The famous 40% scale Concorde model 'G-CONC' that adorned the roundabout at Heathrow Airport for nearly 20 years was donated to Brooklands Museum by British Airways in 2007. Having been disassembled and transported to the museum in March of that year, the model was then re-assembled by the Concorde volunteer team at Brooklands and completely restored. On 29th Spetember 2012 G-CONC was moved to a permanent location at the entrance to the museum and neighbouring Mercedes-Benz World. For more details and photographs of the project, click here.